As you pull into the beautifully landscaped entrance at Old Toccoa Farm and make your way to the understated cedar shake and stone gatehouse, you know immediately this is not your typical North Georgia mountain community. A smiling gate attendant welcomes you and politely directs you to your scheduled property tour or to the Golf Shop for your round of golf. As you pass through the stone and wooded gates, you realize you have arrived at a very special place – a mountain community rooted in simplicity, quality and beauty. A steady pace of progress over the past twelve months has positioned Old Toccoa Farm as a “must see” community. When you compare Old Toccoa Farm to other communities in the Blue Ridge area, it’s difficult to find a better value. Where else can you drive a short five miles from charming downtown Blue Ridge and arrive at a 400+ acre planned community with a secured Gate House, underground utilities (sewer and city water), gently rolling homesites offering long range mountain, golf course and river views, over 4,000 feet of frontage on the Toccoa River and a golf course that is challenging, fun and well maintained? The answer to that question is you can’t find anything like it in North Georgia. And the offering also includes miles of well-maintained walking trails, an expansive driving range with practice putting and chipping greens and a soon to open family par-3 course. To say Old Toccoa Farm is special is an understatement. 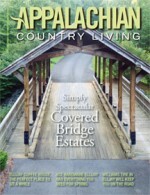 What’s being done here is going to redefine mountain living in the Blue Ridge area. Old Toccoa Farm’s Preferred Builders and Architects provide property owners with all the assistance they need to design and build their mountain home. One custom cottage and one spec home are now dried in and are targeting the fall for completion, while six additional custom cottages and homes are making their way through the design review process and should be under construction by Labor Day. Soave Custom Homes and Paradigm Living have construction starts ranging from 2,200 square feet to 3,200 square feet in addition to a series of smaller-footprint cottages which offer owners overnight rental flexibility. Design elements include heavy use of low maintenance board and batten, cedar shake, natural stone, tin accent roofing, and native landscaping. All of which provides the blueprint for homes that cooperate with the natural order of the land, yet take advantage of the gently sloping topography, long and short-range mountain view corridors, and golf course and river views. If you find yourself drawn to the Blue Ridge area, Old Toccoa Farm should be on your list of communities to preview. The overall value being created here for property owners and members is astonishing. With more and more homes and cottages slated to come out of the ground, early development pricing will not last forever. Current price points at Old Toccoa Farm are consistent and comparable to other communities with a value proposition that is second to none. “We had been evaluating mountain communities for several years, and while we knew Blue Ridge was where we wanted to be, we just could not find a community that aligned with our complete list of requirements. That all changed when we were introduced to Old Toccoa Farm by our agent at Harry Norman, Realtors. Their vision and development principles, along with the quality of work and progress that has been made, gave us the confidence to move forward with a purchase, and now we are days away from breaking ground on our beautifully designed cottage. The beauty of the property and river, the attention to detail on work completed to date, and the relationship we established with the Managing Partners, convinced us that this was indeed “the place” for us. Fly Fishing – The ancient Cherokee double fish weir at the southern end of the property stands testimony to the Toccoa’s abundance. Old Toccoa Farm’s sustainably managed trout fishery includes a 100-foot-wide stretch of riffles, rapids and shady pools treasured for its abundance of native brown and rainbow trout. Lessons, classes and guided fishing can be arranged, or enjoy the therapy of being alone on the water. Paddling, Kayak or Canoe – Slip out in the morning mist for a gentle paddle to a downstream takeout, passing under trestles, bridges and stands of hardwood. Or put in below the dam and ride an afternoon release back to the property by kayak, canoe or paddleboard. With a variety of routes and releases, the experience is unique every time one takes to the water. Trails – There is room to roam at Old Toccoa Farm. Gentle footpaths and wooded trails meander through forests of trillium, fern, lady slipper and flame azalea. Osprey and hawks are your guide along Sammy’s Run — a grassy, zero-grade trail that hugs the banks of the Toccoa River. Or, venture into the heart of the community, up the Valley of Ferns, passing over streams and brooks and a hardwood forest shared with deer and abundant wildlife. Those who wish to ramble further afield can join curated adventures along the nearby legendary Appalachian Trail or Benton MacKaye Trail. There is certainly a buzz in the air about all that is going on at Old Toccoa Farm. 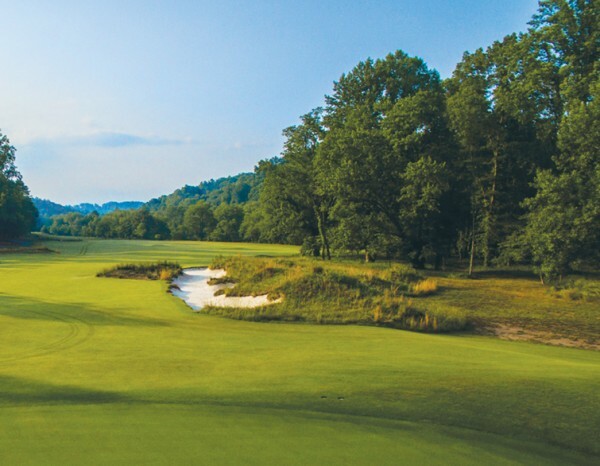 Membership sales have been brisk this past year with over 150 Members now enjoying rounds of golf, long walks on the trails, fly fishing in the Toccoa and social activities are scheduled for late summer and fall. Membership is designed to bring family and friends together around activities and experiences both on and off the Farm.